Part of what I learned at a young age from a great art teacher has worked its way back into my life. Through her I learned that it always helps to take a step back and look at the work from a new distance. Sister Diane was one of the most instructive educators I have ever had. One day in my high school advanced art class, she placed a crumpled brown-paper lunch bag on the still-life table, adjusted a spotlight to hit the bag exactly as she wanted, and told us to begin our study of the lunch bag. I sat kneading my gummy eraser, softening it between my thumb and forefinger, unable to begin as my eyes settled on one wrinkle on its sur¬face, then another. Gulping and kneading my eraser some more, I raised my hand. As she drew near and leaned down, I asked her how it would ever be possible to draw or illustrate all the cracks, crinkles, and folds in that mess of a bag. Simple Paper Bag, Powerful Lessons. Sister Diane was a proficient art teacher, and looking back at that day, I see now that she was teaching me about more than just a paper bag. Her instruction provided a method to adjust perspective on the challenges of life and a lesson in how to illustrate them. The paper bag lesson has helped me as I reflect on my tenure at The View and my time at FOX News. During that decade and a half, there were certainly dark days, some of which unfolded in front of millions of viewers, while others stole my joy privately and were seen only by God. Some days, like the paper bag, showed cracks, crinkles, and folds during my time there, but there was always plenty of light. And the light, thanks to Sister Diane’s teachable moment, is what I choose to focus on; the lessons are what I have chosen to take with me. The value of what I learned at The View far outweighs the stress of being outnumbered at the table. The value of what I learned while working on the team at FOX far outshines the hour at which I had to wake up and the depth of the news content. I’d like to share three of my paper bag lessons—learned the hard way—with you. With a fresh look at the past set of years that were not in my playbook, I can see how God used all the minutes to bring me closer to Him. I feel comfortable sharing them as I see them now. At The View, I had a 10-year apprenticeship with an icon in the broad­casting and television business. It was a decade of being with, learning from, and studying the best of the best. Working for and with Barbara Walters remains one of the most educational times of my life. When I arrived at The View, I was newly married, in my mid-20s, and really inexperienced when it came to television, politics, and debating. By the time I walked out of the building on that last day, I had three children and, thanks to her, a wealth of experience. Whether Barbara planned to interview a child, a prisoner, or a presi­dent of the United States, she approached the interview with intentional preparation. Her notes were lengthy, rewritten, and underlined. If an in­terviewee had written a book, she would have read and highlighted the entire book and all its reviews. If the person commented on a chapter, she could recall it and ask a follow-up question. When the day came for a guest to arrive on the show, Barbara would spend the morning sifting through questions, not only her own, refining along the way the questions of the entire interview. She would then spend some time with the guest socially to welcome him or her while also mak­ing absolutely certain there was not a detail missed—such as something new to mention or an emotion to share about a hot topic of the day. Barbara respected the people she interviewed, and she respected their stories enough not to wing it. Guests felt honored by her prepara­tion and interest. They saw her with their books, tabbed and marked with written notes. At The View, we joked that by the time Barbara greeted our guests, she would know more about them than they knew about themselves! The media has jabbed at Barbara for making people cry. The truth is, it was not that she made them cry. It was that she was the one person who read their entire history with interest, listened intently to what they were saying, and could hear not only their words but their hearts. She could be fully present in an interview and let people feel safe enough to tell their stories and share their feelings because she had earned their respect with her vigorous, thorough preparation. Barbara prepared to listen in the moment; and listen well she did. She is one of the most prepared listeners I know, and she was able to ask brave questions because of that. To this day, I mark a book, as my teacher taught me, and realize that good questions come from being prepared and from being a good listener. She exemplified that for me, and I am forever grateful. I learned from Barbara the value of having information for the situa­tion. It still humbles me to think that every fifteen minutes I was able to speak life and truth to more than one million viewers. Whether we were talking about marriage, politics, or snacks, I could handle the logistics because I had the statistics. The lesson I learned is this: prepare to the best of my ability in any situation. Preparation allows room for observation and real listening. Being as prepared as I could be, allowed me to appreciate the moments that came in between, be fully present, and have eyes in the moment that allowed me to seek the best in each situation. Over the course of a 15-year career in broadcasting, the muscle of preparing an argument or a perspective on a topic was what refined my argumentative skill—a reflexive and reactive muscle that needed a lot of workouts to maintain the 10-year debate that I had found myself in at The View. I could call myself, and have called myself, a recovering right-aholic. I needed and loved and thrived on being right for a very long time. In my personal life, training to be right started early—right answers on tests, right study habits, right decisions after school, right course selection to get into the right college to have the right path. I even played right field. That’s how much I wanted to be right. Professionally, I spent a decade and a half needing to be really right Monday through Friday each week on live television. Being right was what I was trained to do and what I needed to do. But all that emphasis on being right came with a cost—because people have value. We can be very right on an issue and very wrong with a person. Bob Goff has been an awesome teacher on this subject through his book Everybody, Always. When we hold on to being right, it looks like two cars on a single-lane road, face to face and in gridlock. Whoopi Goldberg and I started this way at The View. In fact, I’m pretty sure that our first few words to each only had four letters in them. But at some point, we decided that being right with each other would require being a little more wrong. Wrong enough to give someone the right of way. When we did that and backed up the cars, we experienced the joy and freedom of not having to think the same way while still being able to love the same way. And we decided that being right about an issue was less important than being right with one another because you can be very right and very alone. I am more confident that God desires for us to experience the joy of being right with one another, not more right than another. He is asking for where we stand on issues to be way less important and sacred than the God we stand under together. In his book Befriend, Scott Sauls wrote, “If I feel more of a kindred solidarity with those who share my politics but not my faith than I feel with those who share my faith but not my politics, what does it say about me?” I think for years I needed to hear this and wish I had. Think about that person you are less right with because you have been so right about a position, an issue, or something else that matters a lot less than another human being. 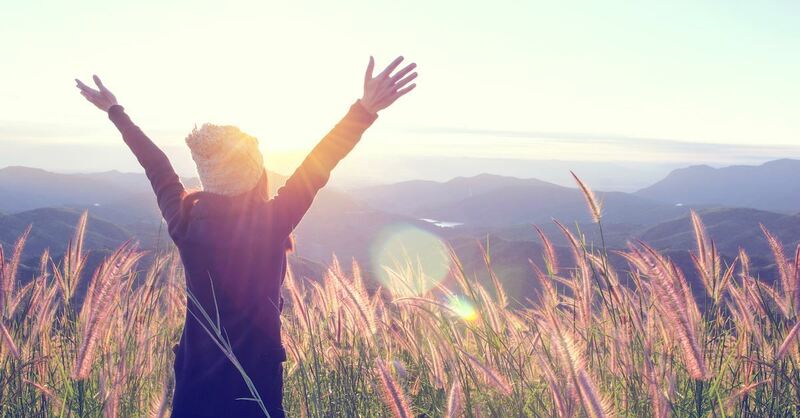 Being right does not guarantee that we feel joy. I think we can all be honest and say that we wish we had been a little more wrong—wrong enough to make things right with a sister, a brother, a friend, a husband, a daughter, or a son. What would it look like to be less right about whatever the issue was and be more right with the other per­son? Bob Goff has taught me a lot about this just by how he lives. Find a teacher who points you to being right with people. Then implement the strategy. My best friend, love of my life, and the hardest-working man I know, my husband, Tim, spoke these words to me: “Give up on the day before it gives up on you.” He values rest. He is wise to do it. In the years when I took rest for granted, although it is something that God designed us for, things did not go well. I learned the hard way that lack of sleep is not good for me and is not good for those around me. When your four-year-old draws a picture of you and then gets closer and reaches for a red marker to “add one more thing” (the red veins in your eyes), it is time to rest. Give yourself the permission to turn the light off. Because if you don’t sleep, everything looks dark—even in the daylight. Elisabeth Hasselbeck is an Emmy Award–winning talk show host, former broadcaster, and New York Times best-selling author of The G-Free Diet and Deliciously G-Free. Elisabeth is married to former NFL quarterback and current ESPN NFL analyst Tim Hasselbeck, and they live with their three children in Nashville, Tennessee. 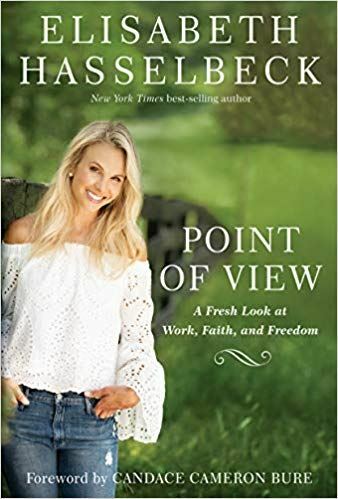 Excerpted from Point of View: A Fresh look at Work, Faith, and Freedom. Copyright © 2019 by Elisabeth Hasselbeck. To be published by WaterBrook, an imprint of Penguin Random House LLC, on March 26.